Nothing beats the everyday elegance of a simple white shirt; the styling options always seem so endless. Oversized boyfriend shirts are my favorites lately. I can hardly get enough of balancing them with feminine details. 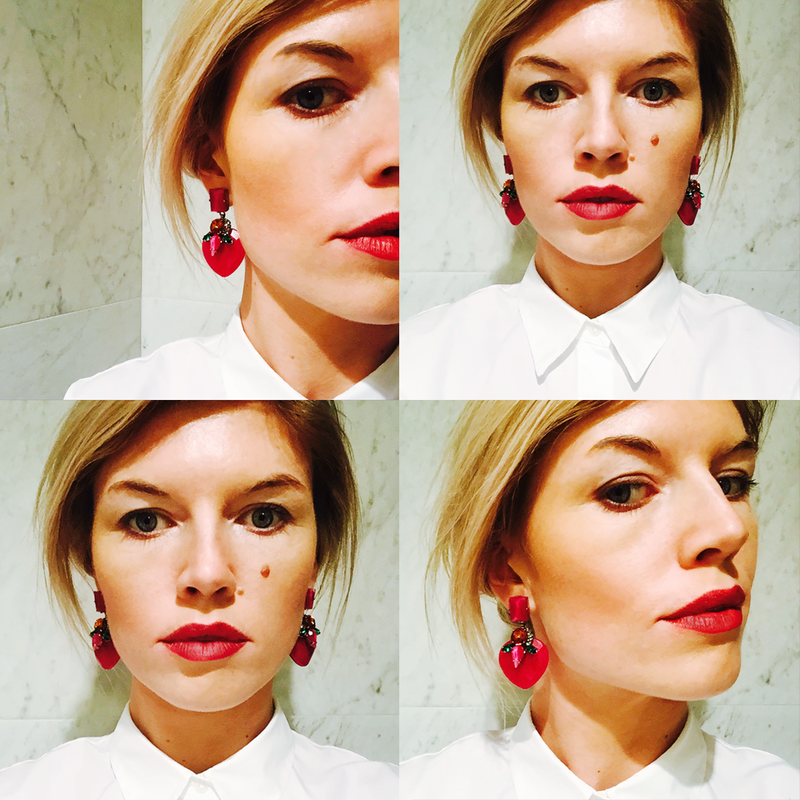 Flawless bright lips are everything this spring and summer and for a truly head-turning touch I grabbed my new stunning pair of 'Colour My Heart' earrings by Souvenirs de Pomme.